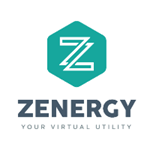 Dallas, TX, March 19, 2019 (GLOBE NEWSWIRE) -- via NEWMEDIAWIRE -- Zenergy (OTCPK: ZNGY), the nation's leading next-generation utility, announced today that their CEO, Alex Rodriguez, will participate in the CEO Roundtable hosted and produced by Energy Marketing Conferences (EMC). EMC is renowned, widely respected and is responsible for the largest and most effective industry events of the year. “I believe in the mission of EMC, and I a happy to bring the Zenergy perspective to the ongoing discussion and evolution of the retail energy industry,” said Rodriguez. This press release may contain forward-looking statements. The words “believe,” “expect,” “should,” “intend,” “estimate,” “projects,” variations of such words and similar expressions identify forward-looking statements, but their absence does not mean that a statement is not a forward-looking statement. These forward-looking statements are based upon the Company's current expectations and are subject to some risks, uncertainties, and assumptions. The Company undertakes no obligation to update any forward-looking statements, whether as a result of new information, future events or otherwise. Among the critical factors that could cause actual results to differ significantly from those expressed or implied by such forward-looking statements are risks detailed in the Company's filings, which are on file at www.OTCmarkets.com.